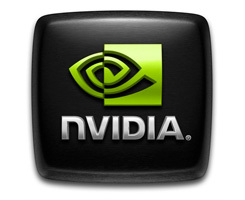 On this page you can download nVIDIA PhysX System Software 9.11.1107. Fixes a bug that prevented PhysX from being accelerated on Optimus PCs. Supports NVIDIA PhysX acceleration on all GeForce 8-series, 9-series, 100-series, 200-series, 300-series 400-series and 500-series GPUs with a minimum of 256MB dedicated graphics memory and 32 CUDA cores. Note: Some applications may have higher minimum requirements. Supports NVIDIA PhysX acceleration on GeForce via CUDA 3.0 for SDK versions 2.7.1, 2.7.3, 2.7.4, 2.7.5, 2.7.6, 2.8.0, 2.8.1 and 2.8.3 (requires graphics driver v196.21 or later). Supports control of your GPU PhysX configuration from the NVIDIA display driver control panel. (Requires graphics driver v196.21 or later). Products supported are GeForce 500-series, 400-series, 300-series, 200-series, 100-series, 9-series, and 8-series GPUs (with minimum of 32 cores and a minimum of 256MB dedicated graphics memory). Before installing these driver, please uninstall your current Physx drivers first. Note: If you have problems downloading nVIDIA PhysX System Software 9.11.1107, please try to stop using your download manager and avoid right clicking on files. Also, check your firewall settings, because some mirrors may require that you do not block the HTTP referrers.